This mardukite.com blog post is officially excerpted from Liber K, “Enochian Magic & Kabbalah: Summoning Angels, Aliens, UFOs & Other Divine Encounters“ by Joshua Free — also found in the Mardukite chamberlains Year-4 Anthology “History of the Necronomicon“ in addition to the Year-3/Year-4 mega-anthology “Necronomicon Gnosis“. …Wholeness comes from repairing the ‘fractured cracks’ of our understanding so that we might be ‘view’ and ‘experience’ reality with ‘clear’ and ‘self-honest’ eyes. …Many people, even among today’s “New Agers” are still lacking in the appropriate knowledge to carry themselves along these paths and have them be ‘realized’ to their truest or fullest extent! So long as people have been forced into a paradigm where the spiritual and mystical encounters of the past are made to look ‘ridiculous’, without basis and a fantasy-legend to tell our children to get them to sleep, no real ‘advancement’ can be made on the understanding and practical incorporation of these mysteries into everyday life. For this reason, the more ‘orthodox’ and ‘static’ systems of religion and spirituality that have dominated the Piscean Age are seeing a decline in membership and true practitioners for the simple fact that we are realizing more and more just how ‘fragmented’ they have actually become. And since we do not see the ‘greater systems’ bending at all to the new realizations available, it is us who must do the changing and usher in a new and authentic ‘paradigm shift’, which is what this whole “New Age” (Aquarian) is supposed to be about in the first place. 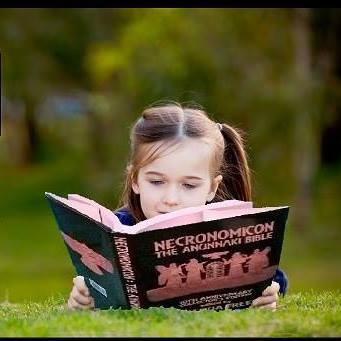 We are also witnessing a rise in interest in the materials and resources that provide clues into this ancient and forgotten past at face value, meanwhile there is a decline in distribution in specifically ‘magick’ or ‘occult’ materials that saw such mainstream popularity in the 1980’s and 1990’s. Since there are few actual organizations and research groups publicly active (outside the Mardukites) that are examining these facets as interconnected, most of the public is still of the mindset that ‘new age revivals’, ‘ceremonial holy magic’, ‘religious spirituality’, ‘governing systems of politics’, ‘ancient sky gods’, and ‘inter-dimensional’ or ‘alien’ beings are all mutually exclusive to one another, sharing no singular basis, and at best, the flights of imagination by primitive minds. No wonder we need change! While new technological advancements bring no shortage to the intellectual Ego of the human mind, the entire purpose of existence, the source of the human species and the knowledge and paths that brought us to where we are now, have all been left behind, swept under a rug or otherwise been ‘concealed’ from the ‘commonplace reality’ of contemporary life. Assuming things were to remain so, the human race would be successful in only destroying themselves and leaving a huge mark on the planet in its wake – change must come, for the alternative is annihilation. Reexamination of the most ancient tablet renderings of the Anunnaki and the way in which they had initially developed among the local populations (to Mesopotamia) thousands of years ago should help to shed new light on the history of human civilization, the development of its cultural and religious beliefs and the way in which this interaction between people and god has affected their lives. The idea of ‘summoning’, ‘conjuring’, ‘invoking’ or otherwise initiating contact with the ‘other’ from our side of reality is nothing new – in fact it is the very basis of ALL ‘magic’ and ‘spirituality’ known to man. In modern times, however, one really must examine the self-honest desire to accomplish such a feat given the societal programming from the public and the media toward such things. The “Divine” is not interested in making spectacle appearances, nor do “angelic” messengers wish to make a physical visitation in such a way that might threaten their own existence based on the way in which humans and human governments (and military) are most likely to meet with such encounters. For this reason, it has always seemed to be the most pious and devoted that are ‘blessed’ with these experiences. WELCOME to the third 2014 edition of the New Babylon Rising online mardukite.com eZine, dedicated to preserving the most ancient literary records of human potential and divine encounters, religious traditions and spiritual techniques, combined to inform — form-in — the most ground-breaking revolutionary NexGen library archive of materials now available to contemporary society using the most current literary technologies available, publicly founded by Joshua Free as the Mardukite Research Organization on the Summer Solstice of 2008 — an effort continuing to this day, touching the lives of thousands around the planet! …and we are continuing to move forward! NEW RELEASE! MARDUKITE.COM EXCLUSIVE EDITION! This amazing oversized economical printing is a 178 page fully illustrated companion that reads like a diary accounting for a public record of five years research and development online through the necrogate blog at mardukite.com, over three hundred YouTube videos, countless radio interviews and appearances through journeys stretching from the west coast to the east, there and back again and revealed to all in this gratuitous mardukite.com online exclusive! WELCOME to the second 2014 issue of the New Babylon Rising online eZine, dedicated to the preservation of the most ancient mysteries of human potential and divine encounters, religious traditions and spiritual techniques, all combined to form the most revolutionary NexGen library archive of materials available to contemporary society using literary technologies, founded publicly by Joshua Free as the Mardukite Research Organization on the Summer Solstice of 2008 — an effort that continues to this day and has touched the lives of thousands around the planet! 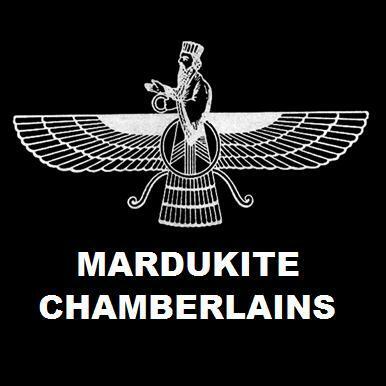 Most famous for their ‘online‘ presence, the Mardukite Chamberlains currently occupy the largest single demographic of the Anunnaki revival-reconstruction and practical tradition. In addition to the work connected specifically to Mesopotamia, the legacy of the ancient Mardukites has been shown to have evolved globally across geography and time to influence the cultural systems of nearly all indigenous folk throughout the course of human history! Be sure to check out ‘Merlyns School of Druidry & Magick’, dedicated to self-initiation into the druidic tradition based on the writings of Joshua Free.